Tangled and True: bowling/candy party. My sister in law throws an amazing party. Sadly this is the first one we missed, but she promised me she'd take lots of pictures and she came through! 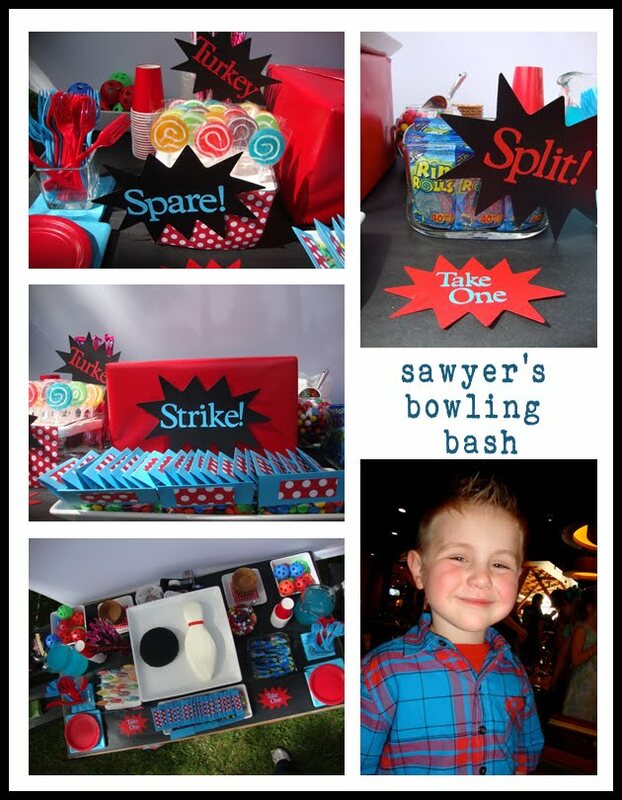 She asked Sawyer what he wanted to do for his 4th birthday, his answer "a candy bowling party". That may seem tricky, but Kelly did a great job. 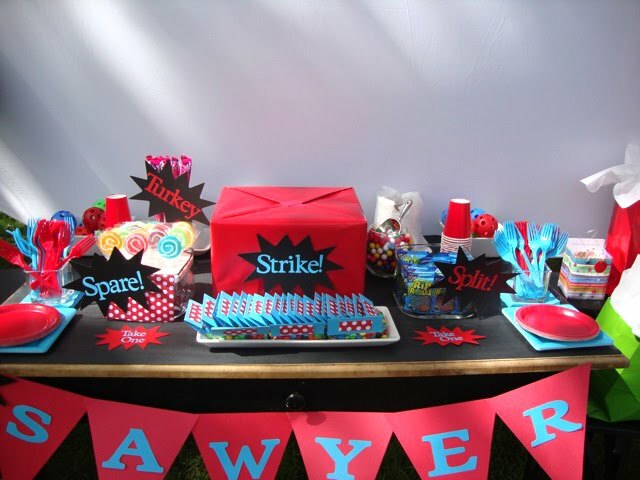 The guests first met in their backyard for cake and ice cream, and plenty of candy for the guests to take home. The bowling pin and ball cake. The close up details. Every detail was perfect (including the birthday boys matching shirt). 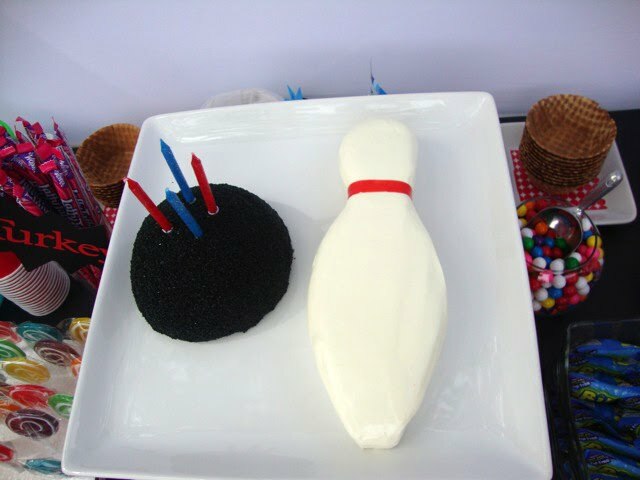 After cake, ice cream, candy and presents the guests headed over to the local bowling alley for some bowling fun. At the end of the day Kelly asked Sawyer what the best part of his day had been, his answer "everything". I think he's right. His mom did a pretty great job. Someday we'll live next to each other again and start our own party planning business. Thanks for the pictures Kelly! could you tell me where she got those super cool lollipops? Love the party! umm...fabulous party kelly!!! looks like fun! I got the lollipops at the Dollar Store, believe it or not and they came in a six pack! Now THAT is a PARTY!! !